Texas. Pride. These are the two words I think of when I see Shiner. As someone who lived and worked in Texas, I can whole-heartedly say there is no other state that takes pride in its own like Texas does. Shiner beer is very much a part of this pride. The Spoetzl Brewery is located in Shiner, TX, a tiny town "no bigger than a postage stamp in the heart of Texas" as described on Shiner's site. This small Texas town has been producing lagers with German influence for over 100 years. 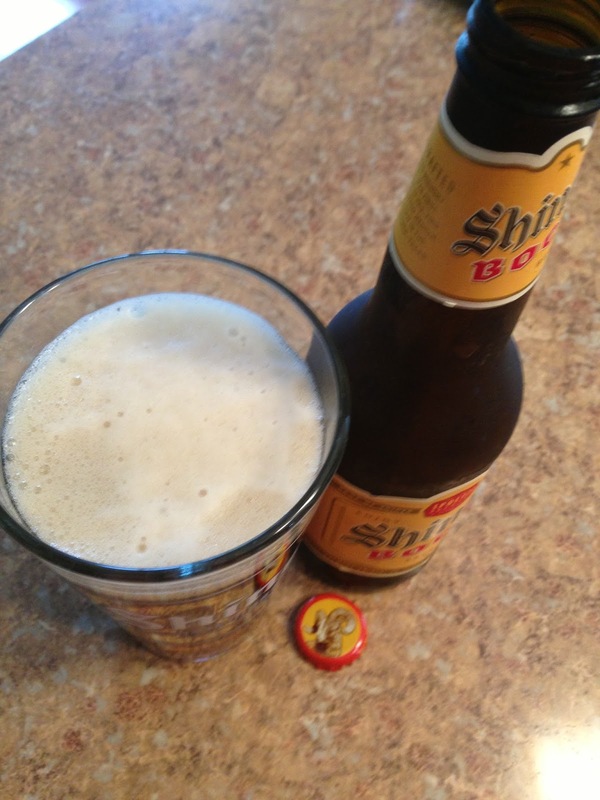 Every drop of Shiner comes from Shiner. That's they way it is and always has been. And there's something about that even an outsider can appreciate. Shiner Bock is their flagship lager. I see Shiner popping up more and more around the country, and it sort of reminds me of Yuengling in terms of how relatable it can be to non-craft-beer-drinkers. Appearance: Sweet tea color with a quickly fading head. The beer is obviously filtered and appears lighter than one might expect from a Bock beer (note: this is brewed in the tradition of an American lager, and not necessarily a German bock). Aroma: Mild aromas and there's not a lot to pick up on. I do get hints of malt, but nothing to write home about. Taste: As one might gather from my comparison to Yuengling, this is a mildly smooth and unoffensive beer. It has a strong malt base with some nutty characteristics and a caramel sweetness on the finish. The beer has an overall clean feel, as there is little-to-no aftertaste, dryness, or bitterness. Something that I have noticed in several Shiner brews, and it's most noticeable in this one, is a subtle but troubling copper or metallic taste that I get towards the back of the palate. 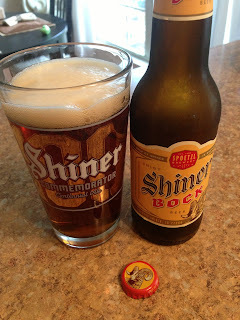 I have had Shiner Bock on draught, from a can, and in a bottle, and the copper flavor is always there. I am not sure what causes this, but it's definitely not pleasing. Overall: I love the history of this beer and what Spoetzl represents to Texas, but the beer itself is mild and forgettable. It's a cheap beer (if you live in Texas), but not worth the price you'll pay if you're outside the Lonestar State. Good beer, all these too cool for school beer guys are full of themselves and hate rating any macro Bree with good marks. If you want a beer to replace your flat domestics that has good drinkability, this is the beer to grab. Tried it. not heavy just refreshing with carbonation but not the foam head. Loved it. Similar to amber Dos equis. Great with lunch. A nice refreshing beer. Having grown up in northern Illinois I remember seasonal Bock beers. Shiner is Low on hops..definitely refreshing here in Arizona desert. Smooth and a taste with malt and light chocolate..